Legal Documents: Where Should You Store Them? Home > Estate Planning > Legal Documents: Where Should You Store Them? 21 Jun Legal Documents: Where Should You Store Them? You store your snow boots in the closet during the sweltering summer months and your luggage in the basement when not on a trip, but where should you keep your legal documents until you need them? It is very important to keep files like these safe, as you never know when you are going to need them. A lot of companies have opted for the idea of electronic signatures when it comes to legal documents, as this allows for them to be more secure than having someone write their signature on manually. It also saves time too. If you want to find out more on this, you can check out a site like https://www.salesforce.com/solutions/small-business-solutions/integrations/docusign-integration-salesforce/. Read on to find out. What’s an ideal storage space look like? 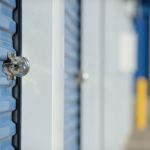 The first step to storing your legal document is finding the ideal storage space. Your ideal space should have three characteristics: it should be secure, dry, and nonflammable. First, you want your space of choice to be secure because your legal documents are important. They’re there to help you in the event of an emergency or after death. You don’t want to lose them or be unable to find them when they’re needed. Second, your storage space should be dry. While a bookshelf or a desk drawer seem like good storage spaces, they’re not the most ideal. Accidents and natural disasters happen, so it’s best to keep your documents in a space that’s up off the ground and protected from flooding. On a similar note, you want to choose a storage space that’s nonflammable. What options fit the criteria? There are several great options that fit the criteria listed above. For example, you can store your documents in a safe or a fireproof filing cabinet in your home. Or if you prefer an offsite location, you can store them in a safe deposit box at the bank or online. However, each option has its own drawbacks to consider. If you choose to store your documents in a safe or filing cabinet in your home, you run the risk of making your documents disappear. Tell a trusted family member or friend that your documents are in a specific place so they can be found immediately when needed. Storing your documents in the bank or online could cause them to become inaccessible. A password and username are typically needed to access online storage spaces. Additionally, a friend or loved one needs permission to access your safe deposit box at the bank. Sharing your login information or granting another individual access will ensure your documents remain accessible. Regardless of the drawbacks, each option provides a reasonable level of security and will guarantee that your legal documents are accessible and stay safe from floods and fires. What about a back-up plan? Properly storing your documents ensures they’ll do their job. However, it’s not the end of the world if you loose your documents because your estate planning attorney should have back-up copies for you. At Boyum Law Firm, we give our customers their original signed documents and a binder with copies of each document. Additionally, we keep a copy of each legal document stored in our computer system, just in case. While we have a back-up plan in place for you, you can still create one of your own. Ask your attorney for extra copies of your documents so that you can give a copy to a trusted friend or loved one for an added layer of protection. Boyum Law Firm can help you with your estate planning, Medicaid planning and probate law needs. To contact Boyum Law, click here.